Good news! 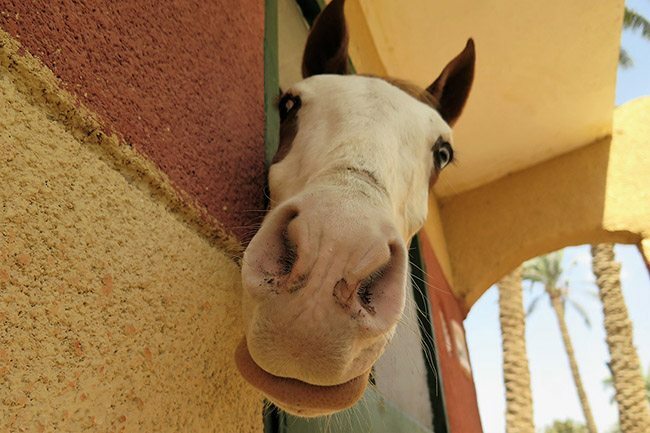 EEA has an opportunity to double its capacity by adding nine new stable boxes for sick and injured horses and donkeys admitted for in-patient treatments – you can support EEA’s expansion by becoming an EEA Stable Sponsor! Soul (pictured above), a 2-year-old who has been injured in a car accident, is one of the first EEA patients to enjoy the comfort of our new stables: extra clean bedding, no competition for food and cool temperatures in the heat of day. 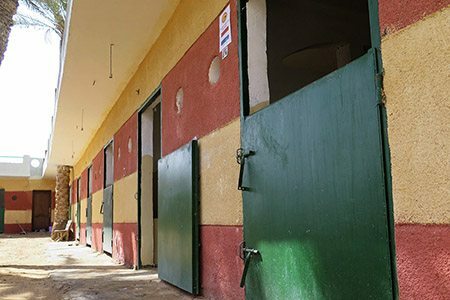 We are often overcrowded and forced to turn away patients in dire need of care – the new stables and an additional Feed Room, Grooms’ Room and a Toilet/Washroom are a major increase of both EEA capacities and its patients and staff’s comfort. 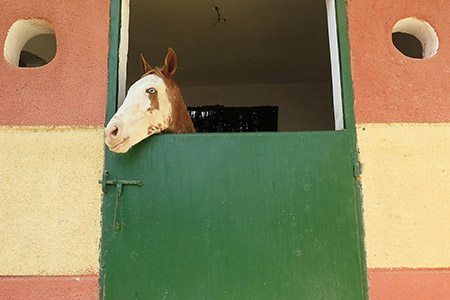 Annual sponsorships will ensure the new stables are used 100% of the time – the sponsorships are open to group and individuals passionate about making a difference for working equines in Egypt. Sponsors will be recognized with a laminated poster on the box or appropriate room – with your name or anonymous, with a country flag and any other message you would like to add! The same poster will be sent to you signed by the EEA founder Jill Barton. 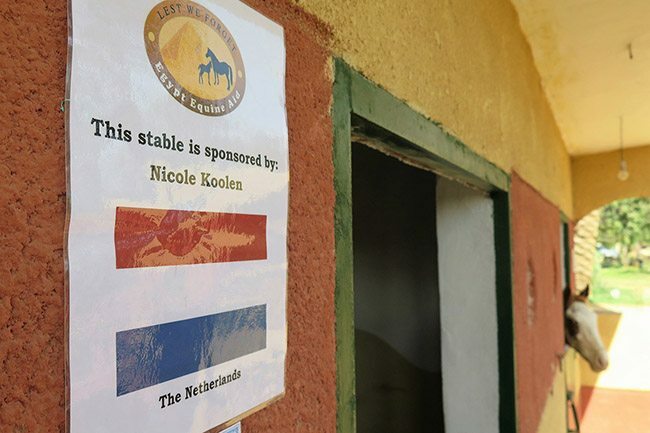 One of our most dedicated supporters, Nicole Koolen from the Netherlands, has sponsored one of the new stables. To secure your sponsorship, contact Bea Hearne via email (beahearne@gmail.com) or Facebook message.